The Bespoke Experience - Fine jewellery made especially for you. 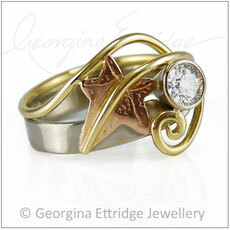 Designs for anniversaries, birthday's, to commemorate any life events or just for the love of wearing fine jewellery! Whether you desire a diamond solitaire and plain wedding or something non-traditional, an alternative unusual style engagement rings or wedding rings, the designs can be tailored to your requirements. The design can be customised in a with extra tendrils being added, larger gemstones and also creating it to fit along side other rings. This makes them ideal as a wedding and engagement ring bridal sets. 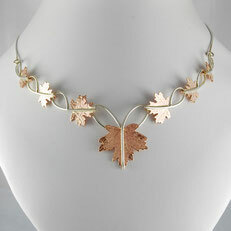 Ivy Leaf Jewellery - The Ivy Leaf is traditionally regarded as a symbol of fidelity, therefore perfect for wedding rings or to commemorate an anniversary. Oak Leaf Rings: The oak, symbol of wisdom, longevity, strength and growth, as well as symbolising heritage, family and honour. 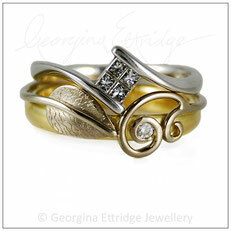 Rings incorporating both oak & ivy leaves. These generally lend themselves to wider bands or sometimes two set rings. Rings incorporating one or more gemstones into the design. Ideal for engagement rings. Complimentary sets for couples. 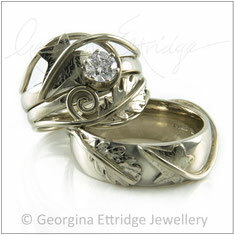 Pairs of rings created in the same style or complimentary designs, featuring elements of the same style or type of leaves. 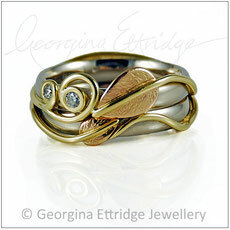 Ideal for bridal sets wedding, engagement and eternity rings. Ring sets that can worn together side by side or on their own. 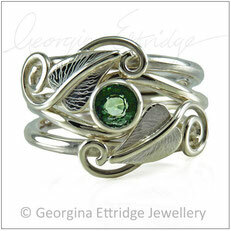 Ideal for stacking rings and stones can be incorporated too. Some designs have include birthstones to represent different members of a family. 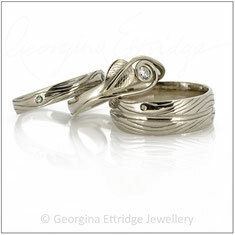 Created to sit side by side with unusual shaped engagement rings. 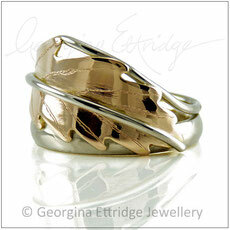 These can be shaped and styled so that they are also attractive as a stand alone rings in their own right. Would you like to receive occasional updates about new collections, craft events, free tickets and offers, direct to your inbox?